Tala gets melancholic in the autumn – enjoys to wander around the city with a coffee to go and discover new places/boutiques/galleries – writes short stories and letters to random people – is in love with beautiful things – appreciates uniqueness, oddness and authenticity – works as a freelance writer – studies fashion and believes in possibilities in life. Although Amsterdam isn’t known to be the most sunny city in the world, the Dutch skies as well as the light in ‘The Lowlands’ are renowned for inspiring famous painters throughout history. In our upcoming fashion city, nowadays this light inspires us to wear this essential fashion accessory: sunglasses. With the slightest ray of sun we reach out for our good friend that assists us in hiding, showing off and of course; protect our precious eyes. After the comeback of the modern-classics such as the Aviator and Wayfarer by Ray-ban, and Persol with the popular foldable shades designed by Steve MC Queen, SS’12 is bringing us an unexpected and playful trend. Bright colours combined with interesting textures and materials are used to create a tentalizing combination and a statement look. Yes, we are familiar with coloured frames, yet the coloured frame combined with the absolute must-have-coloured oiled glasses is the upcoming trend for 2012 to watch and follow. Italia Independent, a cool fashion brand started by the infamous Lapo Elkann (heir of Fiat Automobiles) created a line of sunglasses without any previous experience in this segment. By using velvety materials in daring colours he has ignored any unspoken rules, and succeeded. The brand ‘Sama’ opts for a slightly more classical approach fashioning this trend in more conventional materials and classical shapes. Italia Independent and Sama are the uncaught rebellious players in this field with innovative approaches as result. 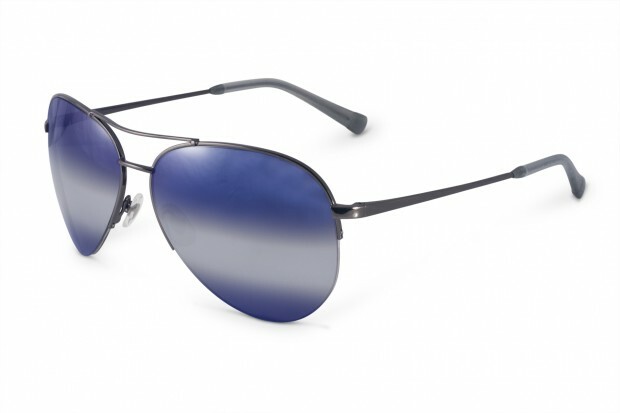 The fashion forward Saton Optiek is the place to go for the most trendy sunglasses in the city. Both ‘Italia Independent’ and ‘Sama’ can be found here along with a selection by other fashionable brands. This shade-haven is situated in the picturesque neighbourhood De Pijp at the 1e van der Helststraat 3-A. It is definitely worthwhile to visit this trend-seller to get hold of these eye catchers.